For most customers the notion beauty is associated exactly with this brand, specialized in creating outstanding dresses for special occasions. Anna and George Hadji managed to unite their talents for creating unique collections and designs under Anoushka G brand name . They are unique and all have long stories. They have 25 years experience in this sphere, which certainly contributed to their ability to develop a perfect vision of beautiful dresses and gowns. Women with all kinds of figures could find perfectly suiting dresses for their happiest days in their lives. Anoushka G brand was launched in 2001 in London. This is an internationally known designer, having the fashion shows in Paris, Milan and New York. At the very beginning this brand developed as a producer of occasional wear for ladies. Later on their collections included bridal dresses of outstanding quality and remarkable design. 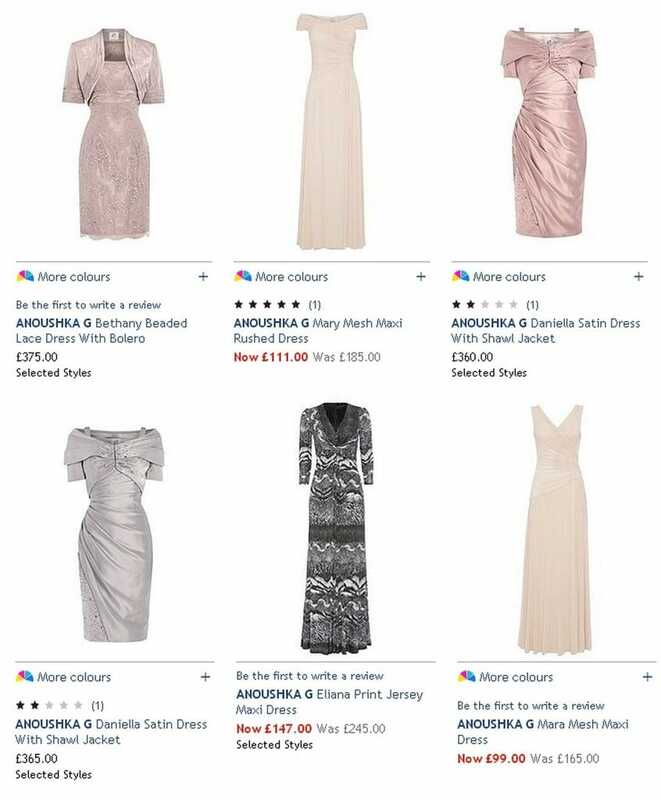 There are dresses for brides, mother of the bride/groom, prom, bridesmaids. The name of Anoushka G brand is associated first of all with glamour and colors, sophisticated approach and top quality. There are still collections of occasion wear for women, who do care about their every day appearance. There is no need to say that all women are eager to look perfect during their special events. It is utterly important to make all dresses with dramatic attention to details. All the dresses were produced in such a way, as if they were custom made, this is due to outstanding design and rich fabrics. For an elegant bride there is a perfect option – with ruched waist detail and elegant lace skirt. In addition there is jewel beading on the bodice, which adds charm to the whole outfit. Such dress would make any special occasion brighter and more meaningful. Fully lined embellished lace dress with fine straps and satin waist detail would suit either a special ceremony or a cocktail party.